Nominations are open for the first annual 'Climate Duplicitist of the Year' award | Watts Up With That? With the 2014 Bloggies Awards coming up next weekend, I thought it would be good to offer our own award. Given what we’ve recently learned about the behind the scenes behavior of The University of Western Australia and Dr. Stephen Lewandowsky self inflicted car crash in handling valid ethics complaints, now dubbed “Lewgate”, I thought that he deserved to be nominated for some sort of award. Therefore, I’m nominating him for this first annual ‘Climate Duplicitist of the Year’ award. However, to be fair, there are others that might be more worthy of such an award, so I am giving readers a chance to place nominations in comments. See below. In 48 hours, the nominations will be tabulated, and the top 5 nominees will be presented for a vote in a subsequent post. If you feel Lewandowsky deserves the award as I have nominated him above, you can also list him with any other nominees you present. Nominations are open for 48 hours and close at 6PM PDT Wednesday March 26th. The winner will be announced at 6PM PDT (9PM EST) on Sunday March 30th. Nominees must be living, real, persons that have had some statement, forecast, prediction, claim, or other utterance related to climate that is inherently duplicitous or misleading. Organizations, such as IPCC, NOAA, CRU etc. are also eligible to be nominated. Nominations must include a citation, URL, or excerpt that represents the reason for the nomination. You cannot nominate yourself or your organization. The winner will receive a gift (TBD) sent by US mail, illustrating their award with an inscription along with a permanent status in the awards page which will remain resident on WUWT and updated yearly. A press release will also be made. March 24, 2014 in Announcements. After having given this much thought….I must nominate the President of the United States. Barack Obama. The brow wiping, pyjama party throwing jet-setting hypocrite. I believe his global warming/climate change rhetoric, is an incredible example of duplicity. Mind you, he is no scientist….climate, or otherwise! LOL! My vote is for Camille Parmesan for hijacking conservation success and metamorphosing the resulting population changes in to global warming caused ecosystem disruption. Al Gore, it’s hard to top the whoppers he’s told!!! Another instance of the magic number 97%, close to what Saddam Hussein used to get in his presidential elections. I figure duplicity is more like having a principle that is supposed to be applied equally, but in reality is applied differently from one person or group than the next. It seems more a case of hypocrisy here: applying the opposite of the principle, regardless of who is involved. London School of Economics produced G. Soros, C. Figueres, the folk behind the New Economics Foundation, and home to the Grantham Research Institute / Climate Chan…. ouch. . gotta . . . head-ache . .oww… where’s the loo? There are so many possible candidates in a few catagories. Person, study, publication, graph, etc. You could widen the award effort and also have it once a month. It might make a useful summary/history when looked at after a year or two, especially if the nominees and winners are catalogued. Imagine if we had something like that to look back through now, over the last 10 15 yrs. At the moment the bad science/scientists/politics transgressions are in the various minds of those involved in the challenge, not really available for big picture documentation. 2nd Camille Parmesan for same reason. The American Geophysical Union (AGU) for making lawyers available to its members in order to better communicate their climate science message to the masses. I always thought the truth didn’t need a lawyer. And, re: Algore, yes, he is idiotic, however, I do not think he can successfully argue reduced capacity. He was trying to work his geothermal scam. He was exaggerating in order to deceive, just really stupidly. Al Gore will be hard to beat. I understand he has at least one sea front mansion purchased at the height of his AGW touring http://heartland.org/policy-documents/sea-level-rising-gore-buys-multi-million-dollar-oceanfront-mansion plus others While it is not clear how close to the actual tide the house is, he apparently also made a claim that he spent all his money on fighting global warming. With respect (or dis-respect) to Lewgate. May I recommend a special award. A spent toilet paper roll core “plated” in tin foil? Yes, we need several categories. Lewandowsky is number one, in my humble opinion, because his duplicity was so effective in attaining his ends, so obvious, yet endorsed by institutions of higher learning and scientific societies. After Jim Steele’s expose of Parmesan, she is a close second because her duplicity has been something like a program that she developed for years, her work has been effective in attaining her ends, and reviewers should never have allowed her later articles to see the light of day. I nominate Peter Gleick for a lifetime achievement award. 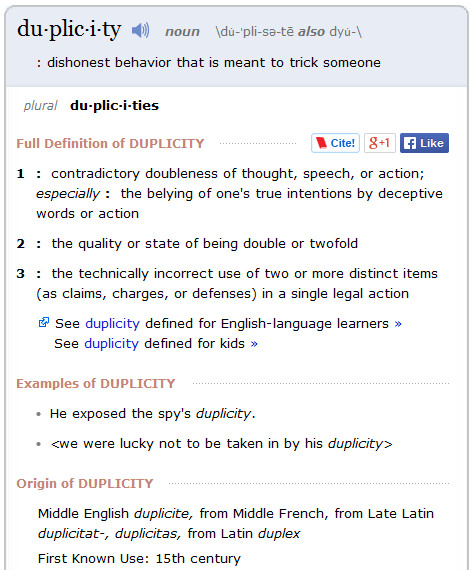 To be head of an Ethics Committee while engaging in wire fraud, Identity theft and forgery must meet the definition of “Duplicity”. The Union of Concerned Scientists deserves some recognition for their title alone. The president. Everyone says, “Imagine if Al Gore had become president.” You don’t have to imagine it; it is staring us in the face. All the others are small potatoes, in terms of power. Worst is that he knows it is false, and persists with it. The Discovery Channel for putting on shows stating that AGW is the cause of all our problems, then running “Raising the Baby Mammoth”. Proving beyond all doubt that on the late spring/ early summer day that the calf died and was literally flash frozen, it has never again reached the warmth of that time in order to thaw the animal. If that was a one-off, I could handle it, but it seems to be an ongoing process to find mammoths in Russia and Siberia. Anybody know the average temps back then? Got any tree rings? I second Chris Turney and his Ship of Fools. I’m working on it. The field is quite extensive, from fraudulent Nobel “winners” to hopelessly ignorant film stars living on the waterfront. And institutions are eligible..mm, what about Bristol University which hires a moon-bat from the other side of the world.. Or the the University of NSW which has several remarkable denizens, not least Turkey of the Shokalskiy with a propensity to get into major trouble quicker than an armoured column into Crimea. Dingle-bat Kerry must be a very, very strong contender. However I feel he has further potential to unleash far greater buffoonery and it’d be a pity to stifle this with too many premature awards, worthy as he is. But, still I keep coming back to…. Meltdown Mann. GENEVA — The head of the U.N. weather agency blamed extreme weather on human-induced climate change Monday, citing key events that wreaked havoc in Asia, Europe, the U.S. and Pacific region last year. Michel Jarraud, secretary-general of the World Meteorological Organization, said his agency’s annual assessment of the global climate shows how dramatically people and lands everywhere felt the impacts of extreme weather such as droughts, heat waves, floods and tropical cyclones. Jarraud drew special attention to studies and climate modeling examining Australia’s recent heat waves, saying the high temperatures there would have been virtually impossible without the emissions of heat-trapping carbon dioxide from the burning of coal, oil and gas. He cited other costly weather disasters such as $22 billion damage from central European flooding in June, $10 billion in damage from Typhoon Fitow in China and Japan, and a $10 billion drought in much of China. Jarraud spoke as top climate scientists and representatives from about 100 governments with the UN’s Intergovernmental Panel on Climate Change met in Japan to complete their latest report on global warming’s impact. Just had a thought about the trophy: A scale model of a rusted out Russian ship locked in an iceberg. Chris Turney is my #1 pick, especially since he just received some award right after his triumphant return from the Antarctic! Secretary of State John Kerry. Lied to US allies when a us .gov website had information showing he was lying. Stunning folks. We all realize this is a bottomless pit, right? This guy stood out to me. Coming from him, as a kept man of the Heinz fortune and a talking head to boot. He needs swift boated again….. I would bet that most folks who read this threat have inadvertently padded his pocket. Ever had ketchup? Now we must anticipate this inaugural year’s winner! Last Glacial Maximum mean global T has been estimated at 3 to 6 degrees C colder than now. Going back another 20,000 years, it would have been a little warmer than that. But at high latitudes the difference would have been even greater, possibly 8 to 10 degrees C colder, since the tropics weren’t much cooler than now. Don’t forget Peter Gleick. His actions were duplicitious in the extreme. I agree,my nomination and vote goes to Chris “penguins on the poop deck” Turney of Ship of Fools fame. May I change my nomination to Kevin Trenberth? The depths of duplicity were not plumbed until he had the temerity to suggest that the missing heat must be hiding in the deep oceans, where of course it can’t be measured, without suggesting a miraculous means by which the laws of thermodynamics were suspended to get it down there without first warming higher levels of the seas. Hoo, boy! How did I miss that one! Palm to forehead gesture, aka the US Marine salute! Well done bones. I thought everyone was going to miss the most duplicitis act of recent climate times by Peter Gleick. Definitely my nomination. TIm Flannery, for owning a river side home, and predicting without any foundation that the sea levels would rise alarmingly, and we would suffer dreadful droughts. (What’s new in Australia) Sea rises have not occurred. Don’t forget Timmy who is still noisy. Who would you rank second? I agree with Bushbunny about Tim Flannery. Let us not forget Julia “There will be no carbon tax under a government I lead” Gillard. I think there should be a Nation category for the stupidest “climate duplicitist”. My nominee for the Canadian stupidest “Climate Duplictist” has to be the Zoologist Davis Suzuki, how a zoologist became Canada voice on Global warming has to be the strangest thing the state run CBC ever accomplished. IPCC. Duplicity is its reason for being. To the media for promoting scare mongering over fact checking to sell more “news”. I nominate old Patch or is it Nick. It has been my experience that old age and deceit generally triumphs over youth and skill. This time it could be different. Very hard to beat Mann because he put his duplicity into court documents, but Lew and UWA by a nose for genuinely perverting a review process from a position of smug. And Kook, Nucitella, Redfearn, Suzuki, Steffen… Just about an endless list. Not Flannery though- we should just forgive him for he knows not what he does, and means well. Not Karoly either, because he had the rare (in a warmist) commonsense to withdraw Gergis et al (2012) Duplicity implies malevolence. Since I am banned from commenting lately and you don’t have the guts to allow dissent, you can’t even argue with me, can you? Ha! Gotta tighten up the definitions a bit I think. “Of the year” means 2013? Or just whoever we want to highlight this year regardless of what they did and when? If the former, Mann would be out because we didn’t actually hear that much from him last year. Gore would be in though for privately investing heavily in the oil and gas sector while insisting publicly that it be shut down. Gleick would be out because (IIRC) his scandal was before that. And I can’t vote for Chris Turney, that wasn’t duplicity, that was a whole different category. Incompetence or buffoonery. We need multiple categories. But if it doesn’t have to be in a given time period, then I have to co-nominate Al Gore and Bill Nye the pretend-science guy, for faking a science experiment and putting it on air. If my nomination wins, I respectfully request an honourable mention for R. Gates for wagering with me on the outcome of the experiment if properly conducted, and then welching when A_thony actually did the experiment and I was right and R. Gates wrong. In my book, it has to be Dr. Michael Mann! 7. Nominations must include a citation, URL, or excerpt that represents the reason for the nomination. All the nominees so far are worthy candidates. I have to rank the prez at the bottom of this cesspit. His blatant disregard for law in his attempt to crush the economy in favor of his political and financial supporters is worthy of this honor. There is a potential problem with his duplicitous actions and speech; he may actually believe the crap he’s spouting. If that’s the case, he’s simply ignorant or stupid. That argues he’s incompetent instead of dishonest. Or both. Oh, well. Flip a coin. Surely England (et al) 2014 would get a look in for denying the pause then recently writing his highly publicised and dubious ‘the ocean did it’ paper to explain the very same pause he had denied. He basically authored a paper refuting his own proposition; a classic case of duplicitous double speak. (also a massive own-goal IMO). Second him, anyone? And the winner, by a nose, is Peter Gleick. Clean energy fund Trading Emissions plc (TEP) said asset disposals and writedowns related to the winding up of its business had helped push it into a 19.2 million pound ($31.7 million) loss for the second half of 2013. “It will be no surprise to shareholders that the private equity and carbon investments are becoming progressively more difficult to sell,” the company said in its results on Monday. The company also said Brazilian biodiesel plant Bionasa, in which it has a 25 percent stake, “remains troubled”. “Operations have ceased, obligations to creditors including banks and employees are in default, legal actions have commenced against the company to recover overdue costs, (and) the commercial and finance directors have resigned,” TEP said. Al Gore since his residence uses more power than a small town and his non stop crabon spewing jet travel. re: Lew’s research ethics and lack thereof…. For those most conversant with all of the details of Lewgate (which I am not): it could be interesting to analyze how Lewandowsky’s behaviors do or do not conform to the letter and spirit of his new employer’s research ethics policies, the University of Bristol…. also in comparison to prevailing research ethics standards at UK universities in general, and any national rules and guidelines about research in the UK. The argument would not be that he could be ‘formally’ judged by the requirements of an institution which he had not yet joined, but rather that it should be disturbing both internally and externally if Bristol turns out to have hired a researcher whose prior work does not meet it’s minimum standards. There seem to be a variety of ways in which Lewandowsky’s past behaviors would have been dubious under the stated standards at Bristol. Again, not that Lewandowsky is in peril with Bristol in some ‘formal’ sense, but rather that Bristol officials and faculty should be embarrassed and dismayed if they have hired someone who in the past failed to meet their professed standards. Most Entertaining – Chris Turney, hands down, going away, no contest. Most Pants on Fire – Gore and Nye for faking a science experiment on air. Most Disingenuous – Gleick, for chairing the ethics committee of a major organization while engaged in unethical acts of frowd and suspected forgery. Most Blind – All the investigation committees that investigated Mann’s activities by narrowing the definition of what was being investigated until they investigated more and more about less and less and found out everything about nothing. They then concluded that they found nothing about everything. Most Ignorant – David Suzuki for yapping about climate and then not knowing what Hadcrut, GISS, RSS and UAH were. Most Sad – that senator who was worried that Guam was going to tip over if we put too many troops there. Most Outrageous – Kevin Trenberth for insisting that the null hypothesis should be suspended for climate science. Most Ridiculous – Kevin Trenberth for claiming that the heat is in the oceans where we can’t measure it and which got there by skipping past hundreds of meters of water without affecting its temperature. Most Bullying – Kevin Trenberth for forcing Wolfgang Wagner to resign from a journal for letting Roy Spencer publish a paper even though there wasn’t anything wrong with it. Most Timid – Wolfgang Wagner for resigning due to pressure from Trenberth for publishing Roy Spencer’s paper even though Wagner admitted it was properly reviewed and there was nothing wrong with it. Tired, gotta call it a night, there’s got to be at least another 2 or 3 hundred categories. Jeez, this is hellishly difficult category to judge. The ‘nominees’ above are mostly of pretty high calibre in the duplicity field. In hindsight I think my England Et Al nomination is a bit of small-fry (so to speak). I think we will need multiple categories of duplicitousness and maybe even a ‘by field’ split (politicians, activists, scientists etc). Can we pin this award down to 2013 nominees only? Just watched Jimmy Cartier and David Letterman and their ignorance on climate. Has to be some award they qualify for. How can we reduce this brimming field of worthy candidates to a paltry 4, and then 1? Anthony, could we not take a page from the Nobel Peace Prize committee and award the prize to the whole kit and caboodle? Say, provide a list of all nominees before your deadline, (perhaps requiring at least one seconding vote), let people vote on the ballot listing all qualifiers, and then provide the final vote count for all? I hate to think of all the deserving candidates shunted to the cutting room floor and losing their chance of world fame. Let them all have their little certificate. My nomination is James West. Sure he is not as famous as Albert Gore or as litigious as Michael Mann, but for plain duplicitous creativity nobody comes close to James West’s recent article in Mother Jones. The article argues the reason that the debris of the tragic flight 370 in the Indian ocean is difficult to find is due to – wait for it – Global Warming. James surely needs at least an honorable mention simply on the strength of this one article . I mean where else will you find a writer, almost in real time, warp a genuine human tragedy into a ludicrous global warming story. The man has duplicity in bucket loads. A dark horse perhaps, but surely is a serious contender nevertheless. I think Anthony really has to create several well deserving categories.
. . . now dubbed “Lewgate”, I thought that he deserved to be nominated for some sort of award. And for his work to be forever enshrined by this beautifully apt eponymous neologism: Lewdoscience. There are too many. Nominations should be for a Dirty Dozen of the Decade. I think that if there is to be a Duplicity award, the, Lewandowsky, Flannery, Cook, Hansen, Al Gore, Trenberth, Gleick, Mann, England, Karoly, Kerry, and Obama should all have an equal share as co-winners. Rather like a sort of Nobel Duplicity Award. The Award Trophy should be in the form of a large silver Pig-Trough, large enough for them to all get their snouts in it, at the same time. Climate change science can be mundane and boring, but Turney and his merry men kept me amused for many days. I see England’s windy-ocean theory paper gets another hot pick at Mother Jones http://www.motherjones.com/environment/2014/03/climate-change-malaysia-airlines-370-search. Now it is responsible for the anguish and heart-ache of hundreds of mourning families. I can’t blame England for the Greens appetite for sick voyeuristic opportunism. But I would blame him if he offers silent ascent to Mother Jones behaviour. Shame on them for trying to score ideological points off a tragedy! Say, how about Rajendra Pachauri? Omigod Onyabike- I had forgotten all about Matthew England (and his little mate Andy Pittman). Not Turkey though (or Gergis)- too insignificant. There are just too many worthy winners. Excellent idea. Credit where credit is due, I always say. I further suggest, however, that the award would gain particular added meaning if associated directly with any one of the several towering figures well known for truly stupendous achievements in science by deceit. “The Mann Prize” immediately springs to mind, of course, but surely a few other candidates may be no less deserving of such perpetual recognition for their efforts. As an Australian I would have to nominate Gillard. “There will be no carbon tax …”etc. Flannery second but we didn’t vote for him. I would like to nominate those scientists that form the 97% of all scientists making up the ‘consensus-bloc’ stating the ‘science is settled.’ The award can be given to Al Gore (Al-G) on behalf of those scientists. I will cite common knowledge in place of a URL, link, or journal cite. Holy duplication Batman! How did we forget the grinning Commissar? Where’s ya quote/URL GSW? I’m sure there are a bundle from Raj. He’s always pretty pleased to contradict his own organisations findings when he has a microphone. Too… many… choices… Argh! Then again, what about the Schmidt? I have to go with Kevin Trenberth. He set the stage with his out of year “travesty” comment. Doubled down with the “heat is in the deep blue sea” gift to the suspension of the laws of thermodynamics. Meanwhile, as Mark Steyn has seriously lawyered up I fear that Mann may be road kill before he is able to pick up his consolation award for Miss Congeniality. Duplicity? Certainly Lew for this year — but doesn’t Michael Mann deserves a lifetime achievement award? Political motivated or based Nobel Duplicity Award? The EU is not a nation. It’s government by an unelected, unaccountable bureaucracy is probably the most duplicitous organisation of modern times, but unfortunately outside the nomination criteria for the award. I nominate the Royal Society, for masquerading as a scientific body so successfully and jointly Lord Debden and Tim Yeo, for supporting scary non-science while enriching themselves at public expense. I second Michael Mann for a lifetime achievement award for using every artifice except disinterested scientific inquiry to keep his hockey stick at the centre of the CAGW narrative. Lew is about as duplicitous as a 9 year- old. His almost total lack of Machiavellian skill precludes me from supporting him. Anthony, can you give your readers a copy of the citation for the Duplicity Award? It might help narrow down what is fast becoming a ridiculously massive field of contestants. If there is no date cut-off, ie; last year or any year, I nominate Chris Hill from Albury (Australia). Apparently according to Chris, daylight savings is the cause of Global Warming (2008). Lew is about as duplicitous as a 9 year-old. His almost total lack of Machiavellian skill precludes me from supporting him. So right it makes me grumpy. Lew is my choice for several reasons. It’s good with a clear cut example to carry the first prize so to avoid misunderstandings of what this prize is about, or it could end up like the Nobel Peace Prize. Lew is also the right shoddy company nobody wants to be associated with – perfect company for next years loser. I would say Bob ‘fast fingers ‘ Ward , but his actual job is to BS , so has a professional rather than amateur I am not sure is allowed. Drought trigger clear as day. When I was a kid we never had drought after drought. Then we started with daylight savings. We started with a little bit, but now we have six months of the year daylight saving. It has just become too much for the environment to cope with. I read somewhere that scientific studies had shown there is a lot less moisture in the atmosphere which means we get less rain. Why can’t the Government get the CSIRO to do studies on this, or better still, get rid of daylight savings. They have to do something before it’s to late. As Anthony would say…….the stupid, it burns. I cast my vote on Chris Turney and “The Ship of Fools”! I nominate Mr Tony Abbott, Prime Minister of Australia, who stated that climate science is crap, but who is now spending billions of dollars of taxpayer money on abating CO2 emissions. You can’t get much more duplicitous about climate science than that. As many have said before how do you choose when there are just so many possibilities, the “climate gate” emails would give a good list and then there are all those talking heads who have not bothered to look into what the climate is actually doing. Just give Micheal Mann a lifetime achievement award!!!!!!!!!!! Dame Julia Slingo – for her every year is an extreme year, again and again. On February 20, 2012, Peter Gleick confessed to stealing documents from The Heartland Institute with the intent of exposing its funding sources and damaging its reputation. He also disseminated a fake “climate strategy memo” that he and other environmental activists on the left claim describes Heartland’s “secret strategy” to mislead the public about the true nature of climate change. “Fakegate” is the title given to this scandal by the London Telegraph’s James Delingpole. The Heartland Institute conducted an internal investigation that showed the memo was not authored by anyone at the organization. Two external, independent investigations — one by Protek International and one by Juola & Associates — found the same. Many others have also conducted excellent investigations into this matter. I suggest an IgLew award too for those whose are too incompetent to be effective and shoot their cause in both feet. Dame Julia would be my candidate for that one. Amusing as this light relief may be….and at the risk of being “Mr.Buzzkill”…..I really think this is a waste of time and effort and trivialises the antics of these people. There are so many worthy contestants (involuntarily entered, to be sure) for this award that I hesitate to add more; but I must. Highest on my list (after Mr. Gore, of course), is President Obama; but closely following behind him is our own EPA, the Environmental Protection Agency, which resolutely pushes Global Warming as scientific while being confronted repeatedly by evidence to the contrary. As a result of EPA’s pushing, we have numerous stringent and nonsensical rules that can be added to at any time. I suppose it is possible for some of the people at EPA actually to believe what they say, but we all know that their reason for persisting in their doctrine is to control the rest of us (for our own good, of course). Do consider the EPA for this award, and give it all the publicity you can! He fabricated a projection for PR purposes. I agree with Dr. John Ware in that there are so many worthy contestants, but I have to give the nod to Al Gore. He’s the tip of the spear of climate alarmism. If not for him, this nonsense would have died off a long time ago. I think I would include Richard Muller who pretended to have been a skeptic, but is now a born again AGW believer. John Cook, for his highly duplicitous 97% survey. The central purpose of that ‘survey’ was simply to give advocates and media lackeys alike a seemingly overwhelming sound bite; something that at a single stroke could be used to convey the ‘consensus’ of ‘peer-reviewed climate scientists’ and thus shut down any further discussion. Due to Cooks duplicity all that became available in an instantly deliverable, seemingly irrefutable one-liner. It has to be said that given the extent it has been used across almost all media it has been an outstanding success. The Gaurdian’s Laurence Topham… aka Peanut Butter Milkshake Boy… aka Environmental Jesus. Now mail me my prize. The award letter should thoroughly document its claims. Sorry for the wet blanket. You won’t want to be a target of a libel suit. You might want to refresh your understanding of the law via a consultation with an attorney. I can see the appeal of getting this ready by April 1, but I think thoroughness is warranted. Good idea. I see there is a new institute for the study of poor science in the bio-medical area (http://www.economist.com/news/science-and-technology/21598944-sloppy-researchers-beware-new-institute-has-you-its-sights-metaphysicians). I reckon something like that for climate science would also be an excellent idea, given the new-found importance of the area. John Cook – author of the 97% paper study and enabler of Lewandowsky. Gore, Mann, Lewandowsky, it’s a warmacopia. Please also remember Peter Gleick wants it bad enough to commit a felony and Richard Muller who is doing his BEST. I’ll confirm Kevin Trenberth. While he understands ENSO better than most climate scientists, he elects to obscure/misrepresent its long-term effects at every possible chance to keep the CAGW hypothesis alive. I nominate David Cameron, the British Prime Minister. He is a most duplicitous, green worshipping toe rag. I think the “Climate Duplicitist of the Year” award is a brilliant, wonderful idea. This should be great fun. I love the idea of responding to the name calling from the AGW advocates with a bit of smart humor. One more vote for Lew-don’t-know-ski, based not only on his past antics, but also on my own super-sophisticated modeling of his future childish behavior which projects a paper on Skeptic/Denier “Duplicitacist Ideation in the Blogosphere” in the near future . . .
With so many candidates, you might have to go to a March madness type of bracket system for voting. The remarks may not have been as duplicitous as a scientific paper that deceives the subjects polled, but they were more far-reaching and had worse consequences than Lewandowsky et al. After all, where do we go to get his ‘worse than weapons of mass destruction’ remarks withdrawn? The educational system in the US for showing Al Gore’s movie. So many champions worthy of the prize – the mind boggles. It’s way more competitive than the Nobel Peace Prize. Even if we stipulated that only previous winners of that prize qualify, that would still leave us with enough options for years to come. I nominate the US EPA for flagrant use of junk science to justify classifying CO2 as a “pollutant” within the meaning of the Clean Air Act. James E. Hansen, formerly of NASA, deserves nomination for his participation in what may be the first instance of climate duplicity, the US Senate Hearings of 1988. Support for this nomination can be found here . I’ll know I’ve died and gone to heaven when WordPress provides a preview feature. Since this is the first award are we allowed to go back further than 1 year? I nominate George Monbiot of the Guardian. He told us to listen to the science. It is now mid-February, and already I have sown eleven species of vegetable. I know, though the seed packets tell me otherwise, that they will flourish. Everything in this country – daffodils, primroses, almond trees, bumblebees, nesting birds – is a month ahead of schedule. And it feels wonderful. Winter is no longer the great grey longing of my childhood. The freezes this country suffered in 1982 and 1963 are – unless the Gulf Stream stops – unlikely to recur. Our summers will be long and warm. Across most of the upper northern hemisphere, climate change, so far, has been kind to us. I second, or third, the nomination of Peter Gleick. Lewandowsky is, simply, too much a jerk to be taken seriously by anyone. Gleick crawled down from the ivory towers of academe to the pit of lies and deceit — and, then, was allowed to re-ascend. In order to make this competition fair where the truly professional purveyors of duplicity be disqualified and be given lifetime achievement awards so as to not eliminate the new liars chance to win. We should eliminate Mann, Gore, Hansen and Ehrlich from consideration, since their duplicity gives them an unfair advantage. Don’t forget “Choo Choo Pachauri”, the railroad engineer turned climate wizard. An award for bad behavior? Perhaps all involved in the CAGW movement should be dishonorably mentioned? Yep, CAGW is a “movement” all right. Rajendra K. Pachauri has been head of the IPCC since 2002. In 2005 he was the scientific advisor to a residual oil extraction company called Glori Oil (now called Glori Energy). In 2008 he urged oil executives to help cut emissions. I know this does not count but just shows you how uncertain they really are. I suspect they were merely reporting on the weather and not the climate – and they didn’t even know it. …within a few years winter snowfall will become “a very rare and exciting event”. Science behind the big freeze: is climate change bringing the Arctic to Europe? As the person who has single handedly done the most damage to society using Global Warming as his tool…Barack Hussein Obama. Global warming is not just the greatest environmental challenge facing our planet — it is one of our greatest challenges of any kind. I second the nomination for the ipcc, for their pretense about presenting science, as well as their pretense of caring about the Earth. Obama for the sheer, staggering damage his duplicity causes/can cause as POTUS. Peter Gleick (any news on a prosecution for his self-confessed wire fraud? 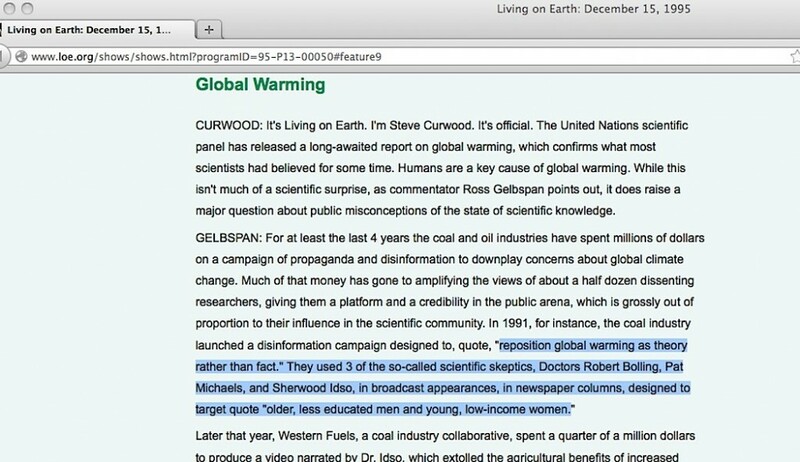 ), Michael Mann, the IPCC and Al Gore all get dishonourable mentions. EPA, no question. Most of the others are very tiny people, quite ludicrous, not worth bothering with. 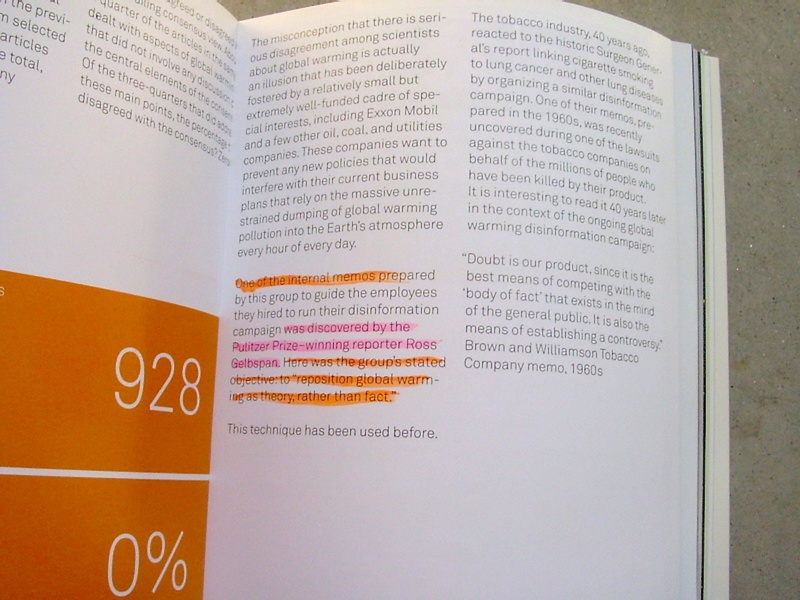 Ross Gelbspan never won a Pulitzer ( http://www.pulitzer.org/faceted_search/results/gelbspan ), and the above coal group memos do nothing to prove a quid pro quo arrangement exists between skeptic climate scientists and the fossil fuel industry – money paid in exchange for fabricated skeptic science reports. Dana Nuccitelli, who works for the oil industry. Mann gets my vote for the Duplicit-list. I have to go with Mann on this one. His attack on Judith Curry, while in the process of suing Tim Ball and Mark Steyn for defamation, is duplicity at it’s finest. CMIP5 – for not being able to tell anything about the future or the past. The Science Journals that only publish one point of scientific view and force closings of sub-journals that have the audacity to publish the other side. The “peers” who review the papers being published on the warmist side. The news organizations that will not allow any dissenting comments to articles hyping AGW. The Met Office in Britain. have we come to an agreement on what the award is actually for? oh, and my nomination: Clive Best. why? Duplicity! c’mon Clive we know its SUV’s and Cow farts. I am surprised in this forum I have to keep correcting bad information: it was not a U.S. Senator, but U.S Representative Hank Johnson (my congressman) who made this particular blunder during a hearing. I will not go so far as to claim that a U.S. Senator couldn’t be capable of an equivalent blunder, but in the interest of accuracy I must correct davidmhoffer on this detail. I also need to opine once again that Representative Johnson is better than his predecessor, Cynthia McKinney — you be the judge. It seems from a quick scan through the nominations thus far that Mike Mann has an edge, although I am surprised at so many votes for Chris Turney. Curious, no nominations for Joe Romm? Or is he just a re-packager of other peoples’ duplicity? If we’re talking about just this year, then I nominate Mann for his fighting disclosure in his most recent lawsuit and and Lewbaby for this kind of….well….he needs his diaper changed. I think that when this is actually put up for a vote the ground rules need to be clarified. Are we voting for “this year’s” or “lifetime”? For this first one, maybe both categories should be included? 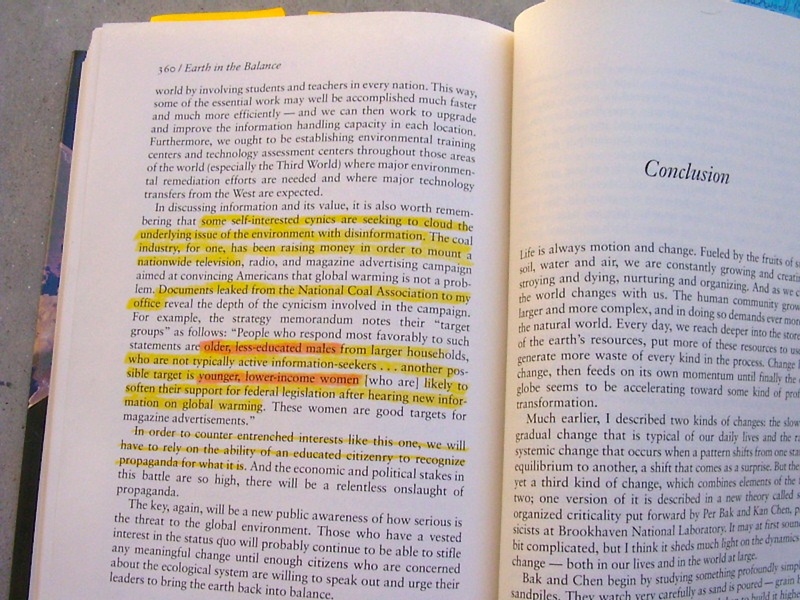 If Screamin’ Joe Romm, then how about Weepy Bill McKibben & all the slackers at 350.org? Long-time and frequent visitor; first-time commenter… I’d like to suggest that ALONG WITH, and in direct contrast to, this duplicity award that there also be an award for that person, organization or group that has done the most to further the knowledge of real climate science whether the contribution supports our skeptical view or not (more likely it WILL support the skeptical view of climate science but we should be open to where the science takes us). In other words, provide the positive feedback so desperately needed for those actually following the scientific method and furthering the science. Something akin to a new, more credible “Nobel prize” in climate science as determined by a group that seems to have their thinking caps on (as opposed to typical liberals that seem to have taken over most of the previously prestigious science related awards). I think a press release that includes a positive award, in addition to the award pointing out the supreme silliness of the climatstrologists, will have more traction. I also agree that a few categories for the duplicity award (solo, organizational, media, and lifetime achievement) are needed. My duplicity nomination goes to Michael E. Mann (PSU) for his self-contradictory monologue in his book and for his non-scientific behavior in his supposed scientific research (see A. Montford’s book ‘The [Mann] Hockey Stick Illusion’). I think the award is the wrong one. I think it should be for the best non-duplicitous global warming scientist as this limits the choice somewhat. Needs a better name than Climate Duplicitist – Climate Denier, Climate Wacko, Climate Un-Scientist, Cimate Conspirer, Climate Clown, Climate Snake. Mikey Mann is not going to know what hit him….. something like a thundering freight train of legal, cultural, scientific, and personal criticism. For our former colonial cousins, this is the leader of Her Majesty’s loyal opposition in the UK and the individual/twerp most responsible for the insanity of the the UK’s current energy policy. A policy that is guaranteed to produce blackouts and sky high electricity prices in the not too distant future. Skiphil, thanks for information that Steyn the lawyer no longer has a fool for client, not that IMO he ever did. But I think the wiser course is a name that won’t bring Mann’s legal gnats buzzing around. Though I like “Climate Charlatan”, perhaps it’s best to leave it as something that describes the actions rather than the person. Every nuke needs a guidance system. From the replies received so far, it seems that there should be two awards, one for individual and one for corporate. Oh, congratulations on this one. I can see this award developing into something to rival the Oscars or the Nobel. I had a quick scan through the above nominations. Can’t say I’d be disappointed to see any of them take the title, all well deserving. But If I can make my nominations, that I don’t think have been mentioned as yet (though I could be wrong, sorry) I think all the Kids over at Skeptical Science are very deserving, for their tireless efforts to promote the scams of all the above mentioned. Also I think the notorious Climate Models deserve a special mention for their consistency in their heroic failure. I know this is breaking the rule Nr.5, but some look upon these as more than mere machines, with a mind, a heart and a life of their own. I’m off now to organise my Tuxedo for Sundays award ceremony. At the very least there needs to be several categories. Politicians or those who are known to be dishonest to start with. Don’t know the specifics of her exploits but the Parmesean woman sounds pretty cheesy. Forgive me I could not resist. Mikey Mann has always impressed me as an evil Pepa Pig. Surely there should be two awards. A lifetime achievement award for candidates such as Al Gore, the IPCC, EPA etc, and an annual award for more specific duplicitous achievements in the last year or so, such as Lewandowsky, Nuccitelli. 3. IPCC for WG2 Confidentiality statement, where it states, “IPCC places a priority on openness”, and especially, “WG II is committed to upholding these confidentiality requirements TO FACILITATE AN ASSESSMENT PRODUCT OF THE HIGHEST QUALITY.” (my emphasis). individual perspectives relevant to their own scientific expertise. discussions and conference calls) are confidential and should not be cited, quoted, distributed, or described. In particular, deliberations should not be discussed with reporters or in forums such as blogs, social media, or other public outlets. materials will remain confidential after the completion of the AR5. requirements to facilitate an assessment product of the highest quality. I didn’t know you are a professional denier paid by the Koch brothers, Anthony. Then again, it could be just more duplicity from Mann. Irony alert! Theo Goodwin says: Who would you rank second? He denies the tree ring data after 1950 that shows the only observed hockey stick warming is at airports not in natural environments. He has launched a campaign suggesting if you disagree with him, then you are attacking “science”. Such meglomaniacs are always at the forefront of tyranny! Obama. Pontificating about climate change while allowing his wife, et al., to traipse off the China for no good reason. Not to mention the other countless trips that served no purpose and unnecessarily added, by his claims, a harmful substance into the atmosphere. The ADL for practicing “selective outrage”. A look at their program schedule should be enough to gain them dishonorable mention. I’d have to add ALL of the other “scientists” in the CRU emails who criticized Mann’s work in “private”, but wuz two skeered to do so in public. Maybe we should separate them up into continents. This Australasia, United States of America, United Kingdom, and India, etc. And send all nominees a certificate. Oh, maybe we will be sued? For Australia definitely Tim Flannery, UK, Jones, USA you choose, Canada, Susuki, and India, Pachauri. Should be a hard one for the United States.